We reported it back on Nov. 12, but HSN and Comcast Wednesday officially announced that the nation’s largest cable operator will has started a nationwide rollout of Shop by Remote for the holiday season, with the service already in 8 million Comcast homes. HSN’s Shop by Remote, which Cablevision Systems Corp. already offers, is an interactive television application that enables Comcast Digital cable customers to shop and make purchases with the home shopping network right from their remote control. 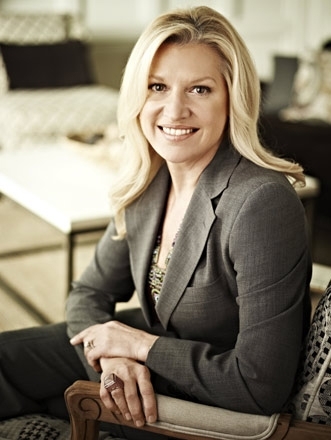 HSN president and CEO Mindy Grossman talked about the Comcast Shop By Remote launch during the home shopping channel’s third-quarter conference call in November. Just in time for the holidays, Comcast Digital customers will be able to buy products from HSN with a few clicks of the remote. With an average purchase time of less than 60 seconds, customers also will be able to select the quantity, color, features and sizes with their remote. In addition to Shop by Remote, Comcast is deploying several iTV applications that include: “Remind-Record” and “Request for Information” — new interactive features that Comcast customers can access on their TV using their remote control. Remind-Record gives customers the ability to easily set a reminder or schedule a recording directly from an ad of an upcoming TV show or series. With Request for Information (RFI), viewers can request more information about a product or opt-in to receive free samples, coupons and services. Comcast has successfully deployed iTV applications, including Shop by Remote, in more than 8 million homes across the country to date. Comcast iTV applications are powered by Enhanced Binary Interchange Format (EBIF) technology, a standard software platform developed by the cable industry to easily deploy interactive applications using existing systems and set-top boxes. Comcast has 23.8 million cable customers (we’re one of them), 15.7 million high-speed Internet customers, and 7.4 million Comcast Digital Voice customers. You are currently browsing the archives for the Todd Walker category.